Nastia on new DJs: "You need to play something outstanding so that people pay attention"
You just finished up talking on your BURN Residency panel at IMS. How did it go? What kind of advice were you giving them? “First of all, they played almost the same music. If you didn’t see who was playing, you wouldn’t know the DJ had changed. They didn’t have a signature, they didn’t have character. You need to play something outstanding so that people pay attention and they ask ‘Who is playing? What is this track?’ Force them to pay attention. It must be difficult for new DJs to take those risks before they gain experience? On your BURN panel you mentioned that when you found new music, you would play it over a few shows and then you wouldn’t want to play it again. How do you find the time between shows to find completely new music every week? Is it always online or do you still have time to go to record stores? What’s your Ibiza summer schedule looking like? “I’m playing maybe four or five times in Ibiza this summer, and that’s enough for me. I don’t really like to play in Ibiza, it’s not my place. Every scene has a character, like Romania for example, they have a big community with style. Ukraine also. When you go to Berlin it’s only tourists, Ibiza it’s only tourists. It’s a feeling that you get — you have to play a little bit simpler, be a little more flexile, you have to be able to satisfy them. I don’t enjoy it so much. What advice would you give to new DJs? Should finding new music be their main priority? 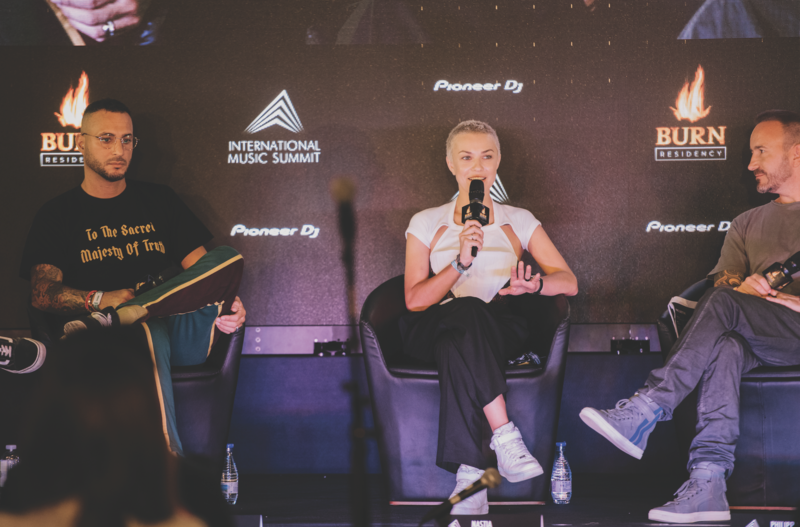 Watch Nastia on the Burn Residency x DJ Mag: How To Become An International Touring DJ panel at the International Music Summit in May 2018 here. Declan McGlynn is DJ Mag's Digital Tech and Ibiza editor. Follow him on Twitter here.